Any day now and they will be enchanting us with their magical music again. 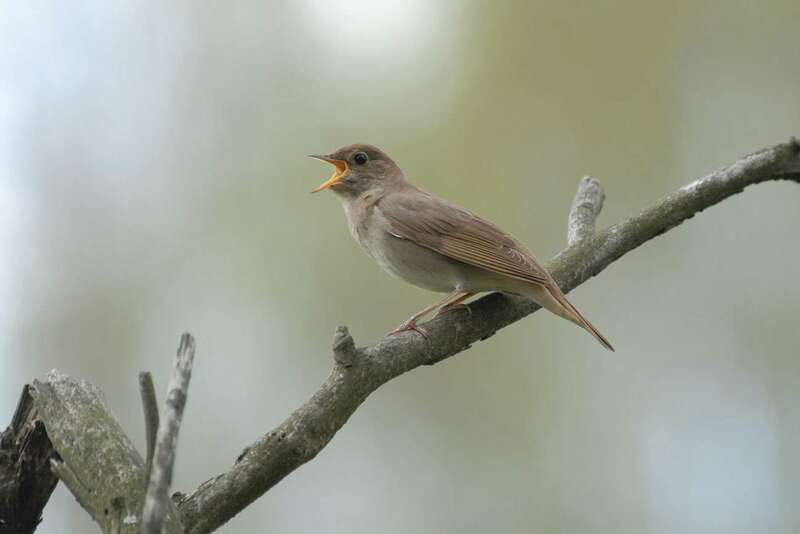 The Nightingale will be back – but only in all too few of the remaining copses to host them in the south of England. Their return from Africa is usually heard around here from the second week of April and this year marks a special anniversary. Next month on the 19th May it will be 95 years since one in a Surrey garden enthralled a nation in the first ever live wildlife broadcast. 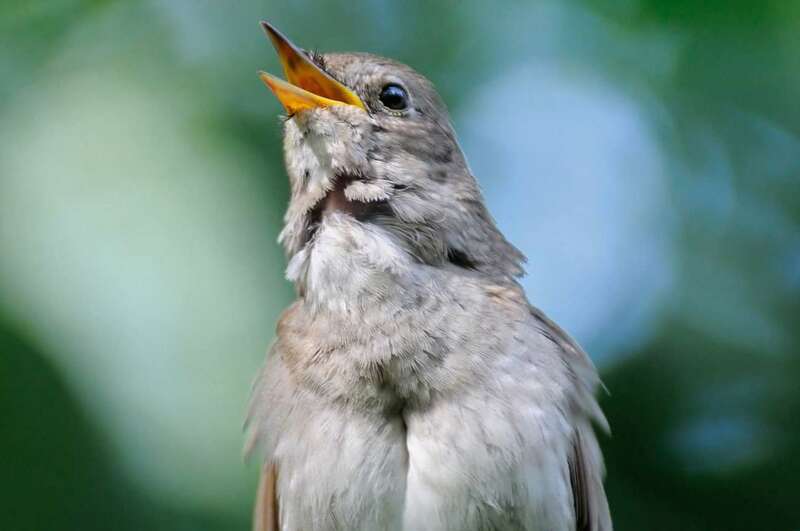 Back in 1924, BBC Radio featured what was to become a famous duet, cellist Beatrice Harrison playing Londonderry Air (Danny Boy) in her Oxted garden, with haunting accompaniment from a Nightingale in full song. Annual concerts continued until World War II following her discovery that Nightingales in the woods around her home would respond to her instrument and sing as if in a duet. Eighteen years on and the BBC made an even more memorable recording, from the same garden, three years into World War II on May 19th 1942. This poignant piece you can still hear on YouTube. The broadcast was cut short for security reasons when 197 Wellington and Lancaster bombers flew overhead on their way to raid Mannheim in Germany. But the recording continued. You can hear the distant drone of the returning engines – 11 fewer – increasingly louder as they pass overhead and then gradually fade away into the distance. But the unperturbed Nightingale sings on regardless and survives an auditory bombardment. Beauty, for a few moments, eclipses the beast of war. Hear them we still do but seeing one is much harder and it is probably true to say that most people who have heard one have never seen one. Darkness is a big reason, but they are shy birds and their brilliant song means they don’t need to show themselves much to attract a mate, even in the day. 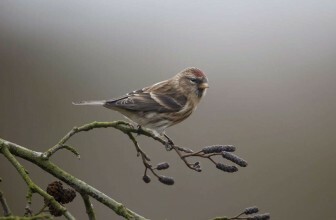 If you do spot one emerging from the undergrowth then you will be greeted by a plain looking bird that is a little longer than a Robin, is brownish above with a rounded reddish-brown tail, pink legs, a feint sandy bib and grey-white underparts. Nightingale numbers of this increasingly scarce summer visitor and our best singer of the early summer fluctuate annually but the species is decreasing long-term. 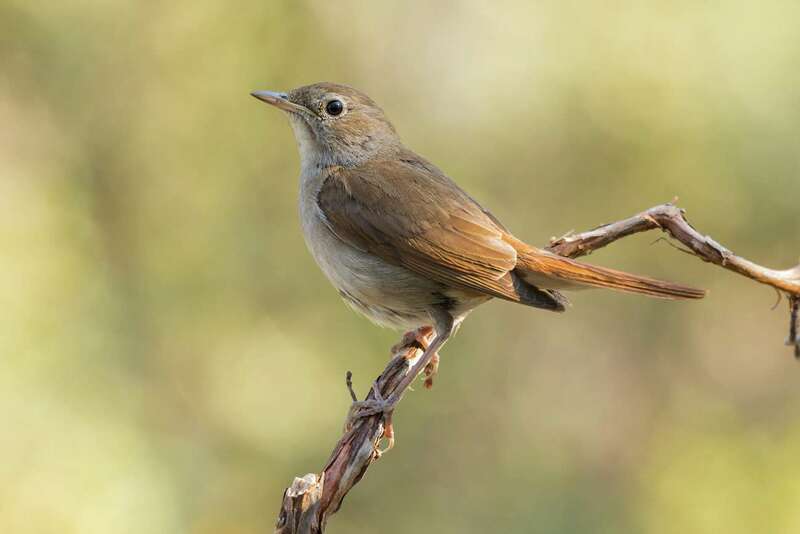 How ironic that the road called Nightingales, on Cranleigh’s Hitherwood estate, is so named, for it was built right across scrub land where the species was ‘very common’ in the 1950s and early 1960s (per Murray Hook, 1999). In other years the numbers have been much lower, or non-existent, but lack of observers may be largely to blame. 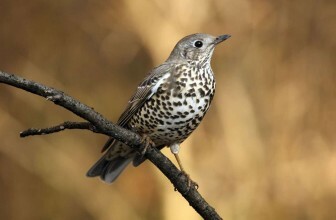 Males may be heard along the Downs Link old railway track, all the way down to the Sussex border and beyond, from the third week of April into May. But I have found they can turn up anywhere. Surprise ‘quick visits’ while they were presumably still searching for a nesting area include Stocklund Square (not Berkeley Square) car park. Oh, what a disappointment to land there after a hazardous journey from such exotic places as Guinea, Senegal, Spain and The Pyrenees! I also once had one in the hedge one night at Park Mead School. It belted out its song just after a rain shower. I first heard it over half a mile away and had difficulty locating it as one minute the song seemed to come from one direction and the next it was coming from the opposite – the result of the sound waves bouncing back off the houses. Eventually I was privileged to stand a few feet beneath it and listened to an ear bursting solo as water dripped from the leaves onto my happy head. Nightingales are ‘Daygales’ too. 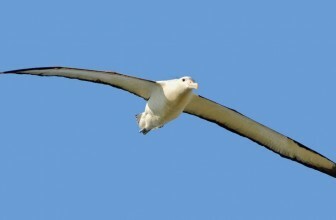 While best heard at night they do also sing during the light hours. Gatwick’s constant plane procession around here tries to drown them out. But it has no more success than the bombers did, all those years ago. When they sang from every square . . .
Back in the 1800s everyone in Cranleigh and surrounding villages would have been familiar with Nightingales. ‘The neighbourhood of Godalming has been called the valley of Nightingales, and well it deserves the name; throughout the fine nights in May, there is a complete chorus of these birds; every coppice contains numbers, and every garden two or three pairs; it is really glorious to listen to them in a moonlight midnight, after a showery day.